Many viruses express membrane proteins. For enveloped viruses in particular, membrane proteins are frequently structural components of the virus that mediate the essential tasks of receptor recognition and membrane fusion. The functional activities of these proteins require that they are sorted correctly in infected cells. 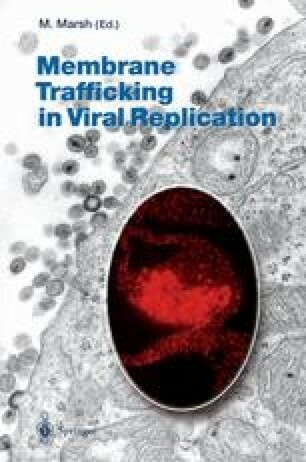 These sorting events often depend on the ability of the virus to mimic cellular protein trafficking signals and to interact with the cellular trafficking machinery. Importantly, loss or modification of these signals can influence virus infectivity and pathogenesis.